Management in all business and organizational activities is the act of getting people together to accomplish desired goals and objectives using available resources efficiently and effectively. The main tools of the managers are theories and insights from business experiences. Despite their differences, at least four schools represent attempts to resolve the same basic underlying problem: the tension between two conflicting business realities. The first reality is that advantage is transient. Even the most formidable market position can be vulnerable to some disturbances. The second reality is that corporate identity is slow to change. 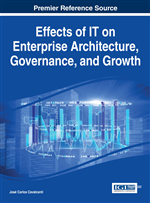 This chapter is organized in order to present some of the main theories and schools of thought developed by managers and business activists dealing with enterprises. Its main purpose is to address the main issues managers research in order to understand the way the enterprise should be managed and how its resources could be allocated as a source of competitive advantage. Management in all business and organizational activities is the act of getting people together to accomplish desired goals and objectives using available resources efficiently and effectively. It comprises planning, organizing, staffing, leading or directing, and controlling an organization) a group of one or more people or entities) or effort for the purpose of accomplishing a goal. In today’s world of wealth in terms of production, availability and access of data, information and knowledge, management has to deal not only with synthesis-actions emerging from the complexity of aspects associated with the fundamental organizing issues of the enterprise, as seen in the previous section of the economic view of the enterprise, but as well as with the complexity of the abundance of these ever growing commodities. According to a special report published by MIT Sloan Management Review and SAS Institute (Spring 2013), entitled ‘Reimagining the Possible with Data Analytics’, how organizations capture, create and use data is changing the way we work and live. This big idea, which is gaining currency among executives, academics and business analysts, reflects a growing belief that we are on the cusp of an analytics revolution that may well transform how organizations are managed, and also transform the economies and societies in which they operate. The report asserts that among companies, this revolution has several dimensions. First, companies have more data to use than ever before, at a volume and with a variety that are unparalleled in human history. Second, by using internal and external data, companies are beginning to understand patterns of consumer activity that had once been impossible to perceive or act upon. And third, companies are using new analytic tools and services to understand their own operations and behavior at a much finer level of detail, enabling new questions to be asked and answered. If management has undergone such a transformation, at the starting point of the management activity is the manager. But what does a manager do? F. John Reh, in a post at the internet site http://about.com, argues (in a popular and anecdotal fashion) that one of the first lessons a beginning manager must learn is that ‘good managers don’t Do anything’. A manager’s role is to manage the people who actually do the work. The manager’s role is to make the group more effective than they would be without him/her. That doesn’t mean that managers spend all day sitting around with their feet up on the desk drinking coffee. In Reh’s words, what a manager does is a set of tasks such as: build a team; motivate your people, run the business; make changes and fix things; manage upward and manage sideways. When management is perceived in a scientific fashion, or, more specifically, since the word strategy became the core of this discipline, when was first applied in print to mainstream business in 1962, with the publication of Alfred Chandler’s book Strategy and Structure: Chapters in the History of the Industrial Enterprise, one has to take into account that the role of management is much more complex than previously thought. The main tools of the managers are theories (embraced by schools of thought) and insights from business experiences. Mainardi and Kleiner (2010) argue that despite the differences between schools (basically schools of business strategy), at least four schools represent attempts to resolve the same basic underlying problem: the tension between two conflicting business realities. The first reality is that advantage is transient. Even the most formidable market position can be vulnerable to technological disruptions, upstart competition, shifting capital flows, new regulatory regimes, political changes, and other facets of a chaotic and unpredictable business environment. The second reality is that corporate identity is slow to change. The innate qualities of an organization that distinguish it from all others- its operational processes, culture, relationships, and distinctive capabilities- are built up gradually, decision by decision, and continually reinforced through organizational practices and conversations.